When most people set goals, they set a goal to lose weight, get in shape, earn more money, etc. These goals are all great, however they will most likely not be achieved. Why, you ask? For one thing, the goal is too general to be achieved. Goals that are too general have no end point. You need to be more specific. For example, if you want to get in better shape, you need to be more specific about why you want to get in better shape. Run a marathon? Deadlift 300 lbs? Lower cholesterol? Also, you need to have a finish line to drive your motivation. 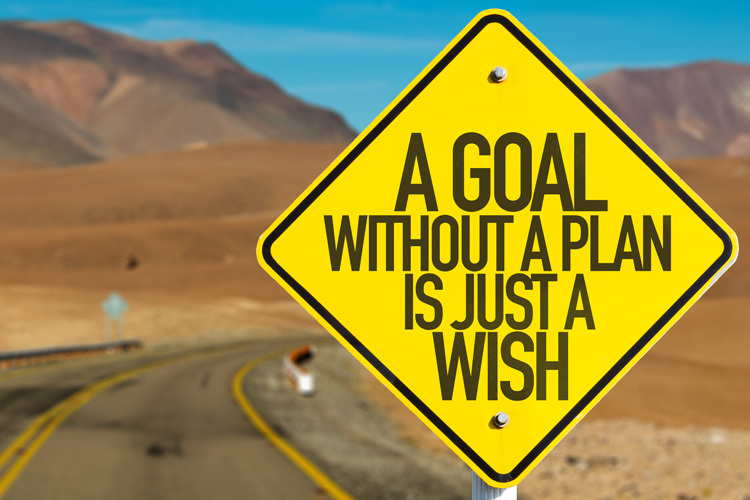 The other reason these goals will not be accomplished is because they are outcome goals. An outcome goal is defined as a big picture goal. This type of goal is also not under your control. Too many other factors come into play. For example, using weight loss as an example: we set a goal of losing “I want to lose 25 lbs in 3 months”. While the goal is specific and does have an end date, there are factors that you have no control over that will affect whether the goal can be reached: not lose enough weight (23 lbs vs. 25 lbs), health issues, environmental factors, your body’s specific metabolic set point, etc. So what do you do to help you reach that outcome goal? Create process goals. Process, or performance goals, are the foundation that help you reach your specific outcome goal. Process goals are your specific plan to keep you motivated and that you can control. Using the weight loss goal from earlier: 25 lbs in 3 months. You create a plan to put you on a path to lose 25 lbs. by writing down how many days per week you’re planning on exercising, planning out your calories during the week, etc. Athletes do this all the time. They schedule off season workouts to stay in shape, pre-season workouts to get them ready for the upcoming season, and then an in-season plan so they stay strong during the season without losing their strength, power, endurance, etc. For an athlete, this is called periodization. You can use the same philosophy to help you as well. What things do you need to change to get there? The first thing is to get an idea of what you are eating and make the necessary changes in your diet. Plan your meals so you have an idea of how much you eat. Next you want to make your exercise program is up to par. Are you exercising enough? Are you doing the right type of exercise (strength, cardio, etc.)? How often do you plan to exercise? Once you have an idea of your plan (process goals) you are on your way. As your plan is put into action, you will need to constantly check your weight and make any necessary adjustment to keep you on track. Remember, process goals are under your control. If you aren’t losing weight while following your plan, make some adjustments. Not sure you were to begin? If you need help with the exercise portion, hire a personal trainer, or get some online coaching. If you need help with nutrition, ask a registered dietitian for help. Whatever your goals are, using process goals to help you reach your big outcome goal is the way to go. It will help keep you on track as you move along the timeline you created. Make adjustments along way as needed, get help if needed and you will be on your way to crushing your goals.